Not only do they offer a wide variety of irrigation products, each and every one of those products is as high quality as you can find. 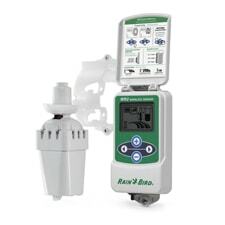 Without a doubt, Rain Bird is one of the irrigation industry's leaders, and you could do much worse; read on for more information about their brand, and how to take advantage of the best prices on the web here at PlumbersStock. In this day and age, water is becoming more and more of a priceless commodity, especially in certain countries. That is why Rain Bird does its best to design products that use water as responsibly as possible. 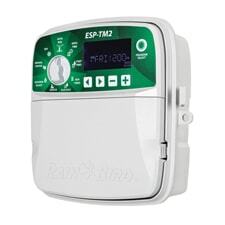 All of the Rain Bird sprinkler controllers and timers you will find on this site use water efficiently, from water-saving nozzles to irrigation regulation systems. Indeed, if you are looking for a company with incredible quality that also cares for the environment, then you are in the right place. 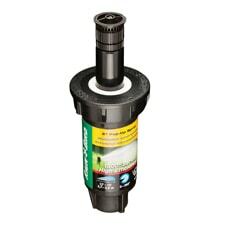 Call us for more information about the water efficient Rain Bird valves, as well as other products. 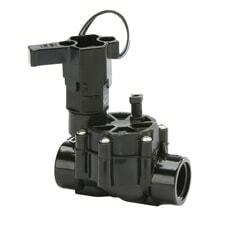 Electric Valves: Offering flow control, internal openings, and easy irrigation system control, Rain Bird valves are as high quality as they come. 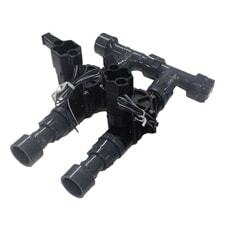 And, with low costs and reinforced construction, the electric valves offered here will give you a long lasting option for your irrigation system, saving you money and time! Timers and Clocks: Control your sprinkler and irrigation system with world-class timers and clocks with Rain Bird controllers. 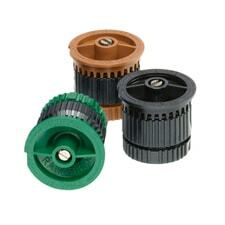 We offer a wide variety, all of which can give you the solution that you need for automated irrigation. 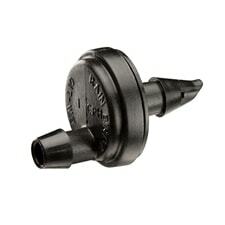 Drip Irrigation: If you are looking for a high quality, low-cost way to water your plants/lawn AND save money, then look no further than Rain Bird sprinkler parts include industry-leading drip irrigation products. It will lower your water bill while keeping your yard more beautiful than ever! 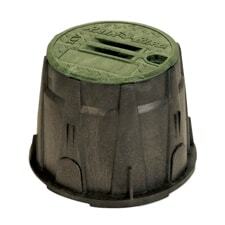 Accessories: We carry everything that Rain Bird makes, and Rain Bird makes everything you need to get your sprinkler system in order, including sprinkler valve boxes, like this best seller, the Rain Bird Maxi Jumbo Valve Box. Founded in 1933, Rain Bird is a privately owned company that offers a broad range of irrigation products for many applications. No matter if you are a homeowner, a professional, a farmer, a golf course owner, or any type of commercial property owner, Rain Bird sprinklers can deliver the irrigation you need to keep your grass green and lively. Currently, Rain Bird provides products to more than 130 countries around the globe, demonstrating the experience, quality, and past success that you want in a company. Add in their adherence to water preservation, and it is easy to see why so many choose Rain Bird timers, valves, and more to satisfy your irrigation needs. We offer the lowest prices on lawn and garden products while providing you with a one-stop shop for all your HVAC, plumbing, and irrigation needs. Along with a host of other industry-leading brands, we also give you something you will not find anywhere else; the peace of mind knowing you are buying only the highest quality plumbing/irrigation/HVAC products around. Call today for more information, or visit the rest of our site if you need something else. Learn more at RainBird.com.